This image is of a comet head moving towards the viewer. However, I managed to get a very strange effect which makes the cloud and star field seem blurry and receeding while the comet head is sharp - the effect is almost three dimensional and can hurt the eyes if viewed too long. . 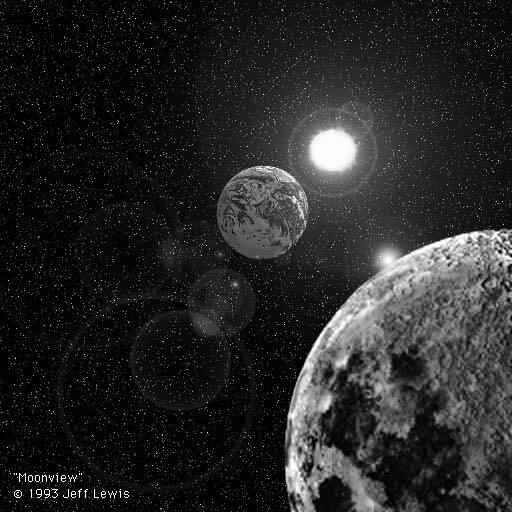 Pretty derivative composite image of the Earth, Moon and Sun with Amiga level lens flare effects. 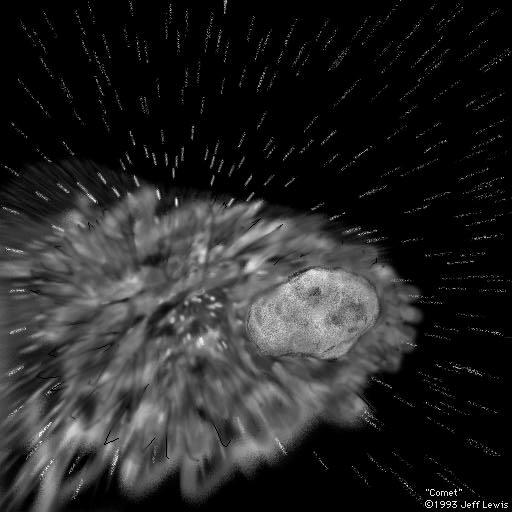 A sketch of a white dwarf ripping a companion sun to shreds as seen from an near by asteroid.